Since 1913, BMW has held to the standard of doing one thing, and one thing only: building the Ultimate Driving Machine. This luxury brand does not focus on building “cars”. Cars get you from point A to point B. Owning a BMW is about the experience. The emotion behind their vehicles is as powerful a feature as one of the thousands of patents that goes into one of their engineered machines. The sum of those patents and emotional ties is what sells BMWs, not the fact that they make cars. At OffWhite, we have developed the ultimate marketing machine. The sum of our passion, people, and tools has made the OffWhite experience special. Sure, we can provide a single tool or project that will get your company from point A to point B, but that is not what we do best. We don’t want you to simply do marketing tasks when you need an integrated marketing experience. OffWhite has engineered a systematic method of identifying where you are now, developing goals, researching what it will take to achieve those goals, and then feeding that information into an operation engine to derive tangible, financially focused results. Our system has been developed over time. By working with clients in real markets, understanding what works on various scales, and leveraging our core competencies as an agency. We are architects with a unique ability to see a brand today, tomorrow, and far into the future. This means little if we cannot tie that knowledge into analytical and financial results for our clients. Enter Aud.it™. Aud.it™ is an assessment tool that measures not only the current success of a marketing program, but helps derive a fully integrated plan and measure its success well into the future. Aud.it™ includes research into your current marketing reach, as well as the financial and strategic goals as you grow. An integrated plan is constructed based on the strengths and weaknesses identified by the initial Aud.it™ findings, with annual follow up Aud.it™s used to reassess and realign the plan over time. 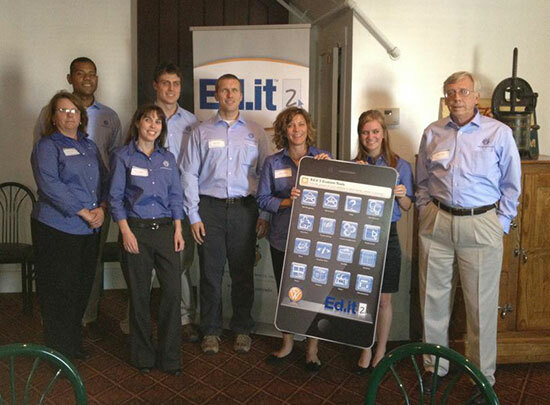 Ed.it™2 is the engine we use to drive the integrated marketing plan. Ed.it™2 is a customizable integrated marketing management platform that manages content, integrates with social media, drives email marketing, allows contact information mining, and enhances marketing analytics tracking. More than a CMS, Ed.it™2 serves the purpose of half a dozen software programs all from a single dashboard controllable from PC, Mac, iPhone, or iPad. We partner with companies that value our strategic input as a way to impact broad audiences and change industries, paradigms, and the world. We like challenges, we enjoy positioning start-ups and emerging growth companies against industry leaders. We come to work each day because we are passionate about what we do. Experience the Ultimate Marketing Machine. Let us show you how we operate, what tools we use, and the results we have obtained in our 27 years of experience. Much like driving that new BMW Z4 Convertible, the difference will be obvious. Contact Jane Cirigliano or Bill White at 1-800-606-1610 to learn more. LinkedIn is more than just the Facebook of the professional world – it is an invaluable resource for you as an employee and your company overall. LinkedIn recently launched two new features that will support its users even further in their attempts to generate business connections and leads: Targeted Updates and Follower Statistics. Both features are available for individuals and businesses, aiming to make corporate networking even easier. Targeted Updates allows page administrators to target their communications and updates to a specific audience within the site. While all updates can still be seen by the whole of LinkedIn users, this feature allows you to target your messages to users based on company size, industry, job function, seniority, geography, and company employees. One LinkedIn internal study showed a 66% increase in audience engagement due to these targeted updates, proving the feature’s benefits. Follower Statistics is similar to the current feature, Page Statistics, but offers users a more in-depth analysis of how their page is viewed. These statistics include total following, recent followers, engagement levels, follower demographics, and update impressions. If you would like to get you or your company “LinkedIn,” please contact us at OffWhite and we’ll get you started or walk you through all of the network’s features. From left to right, back row: Steven Hollis and Chris Hlubb; front row: Jodie Reiter, Jane Cirigliano, Nat Miller, Abby Spung, Chelsey Scott and Bill White. On August 2, the OffWhite team proudly hosted “Off the Record: VIP Reception” at The Galley in downtown Marietta. The purpose of the event was trifold: to gather and network with our top contacts, to celebrate the achievements of OffWhite over the last year, and to unveil Ed.it2, our latest content management system. The evening included a brief presentation by Bill White, Jane Cirigliano, and Abby Spung, but mostly it included good food, good drinks, and great company with 28 of our VIPs. Thank you all for attending! To learn more about OffWhite or Ed.it2, please visit www.offwhite.com. Offenberger & White, Inc., (OffWhite) today announced the launch of its Ed.it™2 content management system (CMS) developed for browser-based website management and editing. Marketed as Ed.it™2, the new system permits management of websites from personal devices such as iPhones, iPads, PCs or other computers with access to a conventional Wi-Fi, 3G/4G/4GLTE or other cellular connections. Configured as a modular solution scalable over a range of website utilities customized for each website, Ed.it™2 is the fifth generation version of the firm’s original CMS initiated in 1999. According to Bill White, CEO of the Marietta-based marketing firm, the new content manager is centered on a secure, icon-driven dashboard with intuitive access to all website functions. “It is a very friendly system”, White emphasizes. “Pages, databases, image and document libraries, analytics, metrics, user privileges, site administration and mass email functions can be managed from the dashboard whenever you want and from wherever you are, eliminating delays and reducing the need for third-party assistance.” Central to the Ed.it™2 capability is a Simple Edit function that provides real-time editing on live pages whenever the user is logged in. “If you see a typo, simply click the icon, make the change and save”, White said. “The changes are immediate. And, if you make a mistake, you can undo it just as quickly.” The Ed.it™2 content management system was developed internally by the OffWhite staff in response to client demand for a simple, affordable yet powerful solution to website management in business, industrial, educational and healthcare venues. Jane Cirigliano, the firm’s Director of Digital Media and project supervisor, said the new Ed.it™ platform is already operating on websites for a number of clients who have contributed valuable input through beta reviews. “The electronic media are no longer a novelty in business”, says Cirigliano. “The entire spectrum, from websites to social media, must be orchestrated to complement one message with another. Ed.it™2 embraces things we are doing today such as mobile websites, interactive document and digital publishing to Facebook, Twitter, LinkedIn, and, frankly, whatever is new tomorrow.” Chris Hlubb, the firm’s chief programmer, said Ed.it™2 is a synthetic solution using code built by OffWhite and others around the world, compiled into a proprietary process based on open source languages well supported by the IT community. “It was our objective to take the mystery out of website management”, said Hlubb. OffWhite is demonstrating live website applications of Ed.it™2 at a series of Lunch and Learn programs starting Wednesday, August 8, 2012. For more information, reservations or to arrange a personal demonstration visit offwhite.com/edit or contact the Jodie Reiter, 740-373-9010, jodie@offwhite.com. Where is the nearest Italian restaurant? What is the definition of “Immunoprecipitation”? Which Olympic sports have medal events today? Hang on, let me check my phone. Today’s mobile devices are more powerful than ever and command a considerable portion of online traffic. Is your website optimized for this traffic? Our clients’ sites are and have been. OffWhite has been developing websites optimized for mobile users since Apple debuted the first iPhone. Change is the only constant in today’s technologically advanced society and we saw it coming. As mobile phones became more powerful and other companies began developing “mobile websites”, we knew this was a shortsighted trend. We have been continually working with our clients to integrate their online presence to include websites that are optimized for a number of devices. Rather than managing two websites, one for mobile and one for fixed machines, our clients can manage a single site that is optimized across viewing platforms. This makes content management, brand consistency, and informational updates easier to maintain. In conjunction with OffWhite’s continued effort to keep our clients top of mind in all markets, especially online, agile content management became a necessity. Website owners needed to be able to manage their content according to the ebb and flow of information within their industry. As the number of online viewers increased, a content management system (CMS) that was easy to use, yet robust in features would be essential to any forward-thinking marketing strategy. Unable to find a suitable content management solution already on the market, OffWhite developed Ed.it™, a user-focused CMS with a variety of powerful features. After nearly 13 years of successful deployment and ongoing developments, the launch of Ed.it™2 marks the start of a new kind of website management. 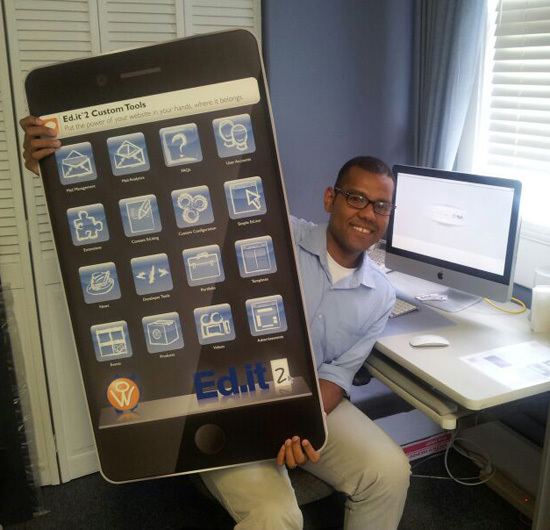 Ed.it™2 is a website CMS that works in the cloud. It is a collection of software assembled to keep track of your website content, including databases, text, photos, video, documents and anything in between. It simplifies administration of your website through a collaborative workflow, permitting you to manage your content and publish updates from anywhere, anytime, including from an iPhone, iPad, PDA, laptop or most other devices with browser capability. Ed.it™2 fills the gap between complex, high-end website development programs (managed by IT people) and complicated desktop software that few of us have the time to understand. Ed.it™2 is based on open-source and broadly supported tools, including an emerging suite of analytics, social media, blogs, e-marketing campaigns, e-commerce and other utility functions necessary to manage your website within the organizational enterprise. Ed.it™2 uses small devices to open up large possibilities. Put control of your website back in your hands, where it belongs. Contact Jane Cirigliano at 800-606-1610 to learn more.